Philippa Gregory has written yet another fantastic historical fiction novel. This time it centers on Elizabeth of York, the wife of Henry VII and the mother of Henry VIII. She’s forced into marriage in order to unite the two sides of the Cousin’s War, but rarely feels at peace with her role in the new world her husband is forging. Her story is compelling and rich, and Gregory does an amazing job of telling it. Elizabeth has always known she would be a pawn somehow, someway. As a female, she can’t rule, but she can give her husband the authority he needs to rule. So when Henry VII defeats her lover Richard III in battle and takes the title of king, she knows it will be her job to marry the victor. Their relationship starts out on horrible terms, with neither trusting the other or even liking each other. They know their marriage is one for show; Henry must marry Elizabeth to show a united front and Elizabeth must marry Henry to show the country who is king. Even though their relationship starts out on bad terms, they come to form a type of love and respect for each other, even though it can never fully form. Henry doesn’t trust anyone who once sided with the York cause, including Elizabeth. There is always someone around the corner trying to take the throne away from him and that makes it hard for him to trust in others. Even when Elizabeth truly does not know anything about the plots surrounding her husband, the fact that she is a York is enough for Henry to distrust her. Elizabeth played a different role in this novel than the women of the previous novels. In the previous novels, the women were determined and worked as hard as they could to secure their line on the throne. The men may have gone off to war, but the women were fighting their own battles. For Elizabeth, the struggle isn’t so much for the throne, but for who she is as queen. She is relatively safe with either side on the throne, but she must decide where her loyalties lie. She was raised a York, believing her brothers were the true heirs to the throne. However she creates a new line with the birth of Arthur, the Tudor line. She is played by both sides and must figure out which future she is willing to fight for. I liked this internal struggle as compared to physical battle. There is still fighting and the battles one expects of a war, but getting inside Elizabeth’s mind as she is isolated yet loved, respected yet distrusted, fought over yet pushed aside was amazing. As much as Henry never felt secure, Elizabeth was just as questionable. Her fate was tied to people she had no control over, but she still fought to make her own path anyway. I wasn’t ready for a character like her, but I’m glad Gregory wrote her the way she did. The White Princess has a different feel to it when compared to the other novels of the series. The fighting between the cousins has slowed, but not ended, and that leaves room for other factors to come into play. Instead of reading about the fight for a crown, this novel feels more like a fight for loyalties. Do you side with the family you are born with or with the family you have created? It’s a difficult question to answer but I feel like Gregory did a wonderful job looking at how Elizabeth of York handled that very question. This is yet another fantastic novel in the Cousin’s War series and it feels very bittersweet that it’s the second to last novel. Almost every story has been told and as much as I hate to see the end, I am looking forward to reading The Last Rose. 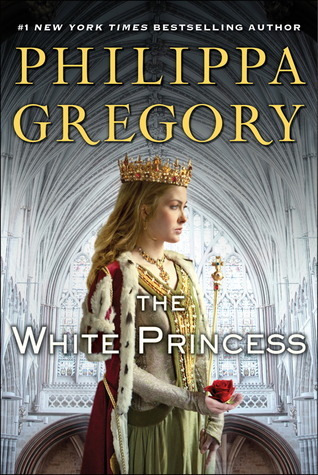 This entry was posted in Historical Fiction, The Must Reads and tagged Drama, Historical Fiction, Must Read Series, Must-Reads, Philippa Gregory.